An important article penned by Monica Davey for the New York Times gives detail on the ramifications of Governor Scott Walker’s successful push to cut collective bargaining rights for most public sector employees. In fact, AFSCME had to merge its three councils in Wisconsin because of the loss in membership. Volunteer to do your part to put pro-labor candidates in office in your state or province. 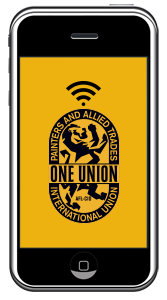 Contact your district council to find out how you can join the ranks of the IUPAT Army of Black and Gold at rallies and get out the vote efforts. The International Union of Painters and Allied Trades is currently seeking candidates for Organizing roles in Texas and Georgia.